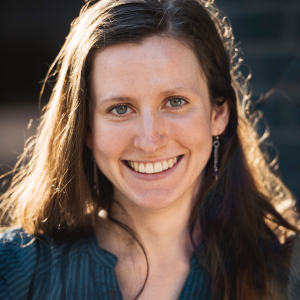 With a background in writing and a deep interest in environmental and social equity, Eliza loves that her work at MountainTrue speaks to many of her passions. Eliza writes and edits MountainTrue’s traditional and social media and helps build and implement advocacy campaigns regarding public transit access, forest planning and clean energy. She serves as the coordinator for the Asheville Regional Transit Coalition (ARTC) and has organized for MountainTrue around coal ash pollution, the Nantahala-Pisgah Forest Management Plan, energy rate hikes and more. Eliza holds a B.A. from Warren Wilson College in Global Studies and Creative Writing. As a student, she interned with Helpmate, Asheville’s domestic violence shelter, and Nuestro Centro, Asheville’s grassroots Latino advocacy center. Before coming to MountainTrue, Eliza worked as a freelance editor and writer and as the Assistant Director of the Warren Wilson College Writing Center. When she’s not at work, Eliza loves gardening, rock climbing and listening to loud 90’s pop music on the highway.